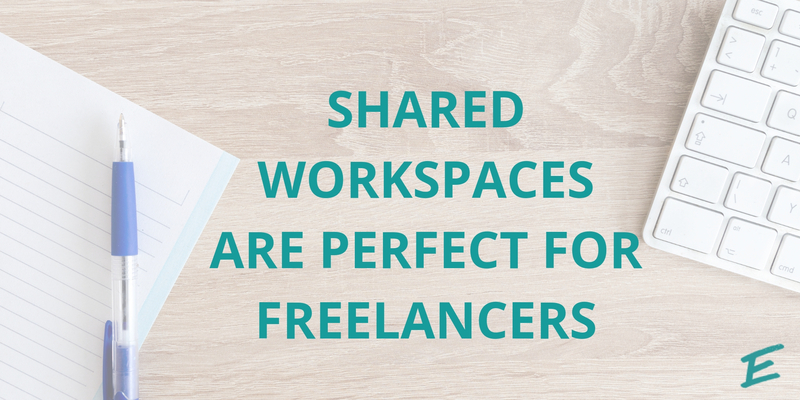 To many people, the freedom and flexibility of freelancing are incredibly attractive. Whether you want to spend more time with your kids or travel the world, not being tied down to a 9-5 desk job can be a dream. However, many people who set out on their own find that working from the couch isn’t all it’s cracked up to be (especially after more than a few weeks). If you’re loving the freelance lifestyle but missing some of the perks of a traditional office environment, then a shared workspace is perfect for you! If you run a nonprofit and are looking to stretch your budget further, shared office space may be the perfect solution for your organization. Here are just a few reasons why nonprofits and shared workspaces are an excellent match. Shared office space is becoming increasingly popular amongst psychologists, psychiatrists, and other mental health professionals. Our offices are fully-furnished and serviced; perfect for solo professionals who want the resources of a larger entity, but only need one or two dedicated offices. We’re flexible, so you don’t have to be. That’s one of the reasons our clients are so fond of the services we provide and choose to keep their companies based with us even as they grow. We are committed to covering all of the basics of your business, from phones to internet to conference rooms to coffee, so you can focus on the big picture. At AdvantEdge, we understand that over time, your company will change and so will your needs, but we promise to transition with you in order to provide the ideal environment in which you can be successful. 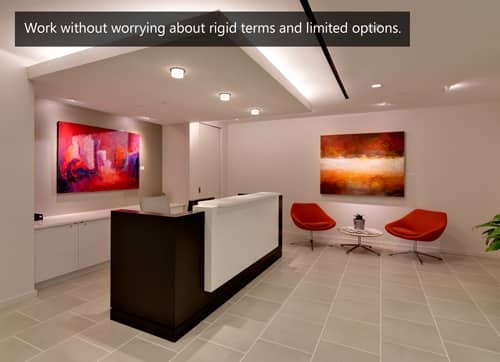 So you’ve decided to lease DC office space from a serviced office provider. On the surface, providers of this type of office space can appear deceivingly similar in their offerings, pricing, and amenities. 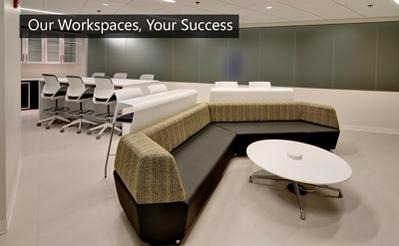 Everyone struggles with staying on task… but add in a shared workspace environment and boy, can it be tough. However, there are things to look for in a shared workspace or coworking environment to ensure that you have the community you want without sacrificing productivity. These five tips will help you get on track, stay on schedule and love the space you are in! Do you ever feel like you’re throwing money down the drain with the many additional expenses your company requires like furnishings, buildouts, infrastructure, utilities, reception, etc.? Are you tired of paying 100% of the costs for services you only use a fraction of the time? A good office space is like a good employee: no hidden strings, no excuses, and ready to start working for you immediately. 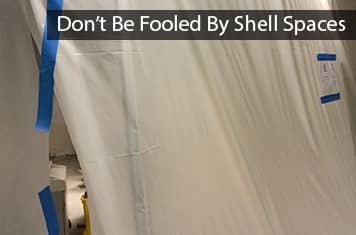 Shell space, in the world of workplaces, can seem similar to the employee who trumped up their resume. Unfurnished and unfinished, shell space takes on all the responsibility without any of the qualifications; often leaving you on the hook for more work than expected. 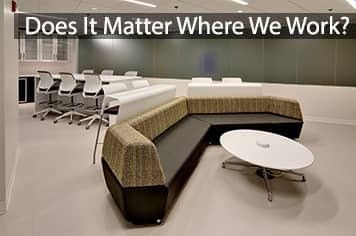 Does It Matter Where We Work? As with the rest of society, modern technology has changed the way we do business. We work through clouds now; we communicate via dropboxes and video conferencing. Our new digital tools make it so easy to connect remotely that face-to-face interactions, and putting on a tie or makeup to do so, can seem more like a chore than a necessity. Not all companies are created equal and not all employees interact with clients (or each other) on a daily basis. The ease of remote accessibility has led to a spike in telecommuters and many young organizations are taking note of the advantages.